A new permanent exhibit on anatomy will open Oct. 22 at the Leonardo da Vinci Museum in the artist’s Tuscan hometown of Vinci. The exhibit will explore da Vinci’s anatomical studies and include educational activities, tours and children’s activities. 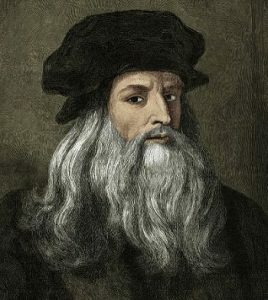 Perhaps the most curious person in history, da Vinci was a painter, sculptor, engineer, scientist, artist, and architect, and his interest in accurately depicting the human figure led him to study anatomy. His anatomical studies spanned two decades as he dissected human corpses in hospitals to understand the mechanics and composition of the body, including the musculoskeletal system, many organ systems, and the workings of the heart. He did not consider himself a professional anatomist, but he produced hundreds of largely and astonishingly accurate anatomical drawings, and though he intended to publish them in a book, he died before he could do so. Museo Leonardiano opened in 1953 and comprises two buildings that house several other permanent and rotating exhibits dedicated to da Vinci’s varied interests and crafts. These exhibits showcase da Vinci’s interest and expertise in the mechanics of construction machinery, textile manufacturing technology, clocks, weapons, aviation, water, geometry, and other tools. Models and machines showing da Vinci’s theories, as well as interactive apps that visitors can use, are accompanied by the artist’s handwritten drawings and notes. Hours: March to October: daily 9:30 a.m. to 7 p.m.; November to February: daily 9:30 a.m. to 6 p.m.
Want to read more about travel? 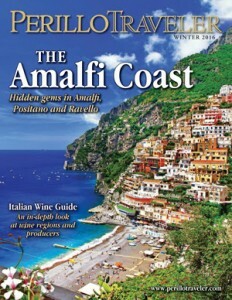 Get your free copy of our new digital magazine, Perillo Traveler! Copyright © 2009-2015 Italy Travel. All rights reserved.